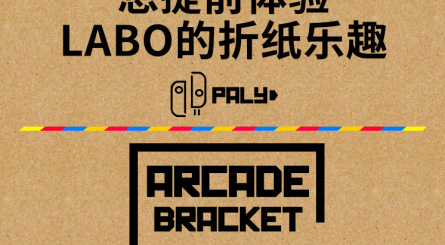 With the catchy name of "Arcade Bracket"
Nintendo was kinda asking for it, really. When you make a product out of cardboard, it's insultingly easy for unscrupulous companies to jump on the bandwagon and copy the idea - after all, cardboard is pretty easy to mass-produce. Outside of being made of cardboard and ripping off Nintendo's branding, the scope of this product is painfully limited - you basically make the stand and that's it. There's nothing on show which replicates the incredible potential of the Toy-Con - it really is just a lazy rip-off riding on the wave of hype for Labo itself. The real Nintendo Labo launches on April 20th. Wow, can you say lawsuit? Rip offs and jokes aside, a cardboard Arcade cabinet is actually not a bad idea. It looks pretty cool. Yeah, I don't think Nintendo will let this one pass. Chances of seeing this in actual stores seem really low to me. Well, they say mimicry is the highest form of flattery. Well, sure, cardboard is indeed easy to reproduce, but this isn't exactly what Nintendo is selling with LABO. Anyone can make a cardboard accessory. But can they make intricate assemblies with accompanying software? 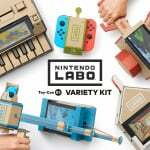 I could've sworn Nintendo was open to the idea of lending the Labo brand to 3rd parties. It's a shame that this is likely gonna be C&C'd for using the Labo name, when just a little legal hoop jumping (or just not using the name at all) would allow this to exist with no issue. Heck, being officially Nintendo licensed would likely land them more money in the long-term compared to a short term copyright infringement. Was it developed in China by any chance? 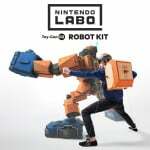 Labo is cool because it makes use of the Switch's technology (HD Rumble, IR sensor, the console's modularity in general) and integrates that tech with DIY cardboard. 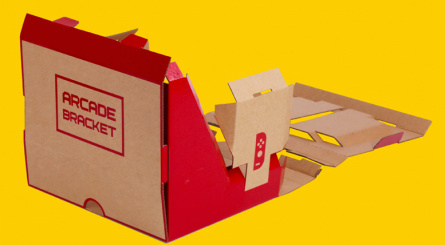 This just wraps cardboard around the Switch and misses the point of Labo competely. Won't be the last one. But I do think they risk getting pulled from the market with how closely they followed Nintendo's marketing. But what do they care. They are probably a shell company that will just close up shop and take any money they've made to that point if Nintendo does go legal on them. I CAN'T WAIT TO PALY THIS. China copyright apathy says "hello"
@DTFaux According to the source link it’s from China, so theres between zero and nil chance that a cease and desist will occur. They could drop the Labo name and possibly tweak any logo anyway if copyright was an issue and they’d no longer be infringing anything. Nintendo doesn’t own cardboard casing for gadgets and they aren’t shipping any software that’s infringing anything. 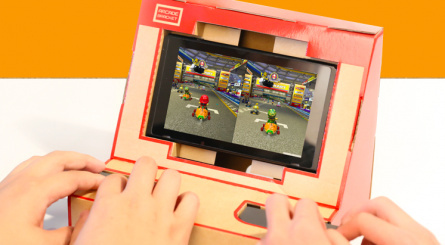 Nintendo’s differentiator with Labo surely has to be the software, I’m sure they were aware people would make custom cardboard kits and in a sense that almost seems in the spirit of the product (I wouldn’t say profiting off those designs necessarily is but). Honestly if it is cheap enough this is an interesting product imho. It may be not literally the same as labo but it could be rather fun, it looks good and rather cool overall. It just need the right price for what it is. Why would anyone want to play like that? The Joy-Cons are way too small to be used as arcade controllers. I kind of want it??? I've been looking for a cheap mini arcade cabinet for my Switch and this is possibly it. If it comes to the US, I may look into it. Don't worry, I've already preordered the Labo variety kit, so no deception here. And don't get me wrong, the deception here is almost criminal. But I've been looking for something like this and if it's cheap and it comes to the US? I may get it. Oh, and this misses the point of Labo (like so many internet haters): this product is just cardboard. That's it, unlike real Labo that comes with a game and other things. how are you meant to use the shoulder buttons? @Bunkerneath It's China. There are no copyright laws there. @Smigit I'd have to double check whether or not Nintendo's actually in China's market. If so, that might increases their chance to shut it down. And I actually agree that a simple name change could avoid a lot of legal troubles (or drama in general). I actually like the concept, but the piggybacking is unfortunate from an ethical perspective. @DTFaux I don’t think it matters if Nintendo is in China or not. They’re notorious to turning a blind eye to blatant copyright infringements. Lego should make Labo with their superior plastic. China is such a Bootleg place. Yeah, these guys are being very cheeky indeed here. Great, I can buy this cheap and code up the rest myself over the next four years of my life! This actually looks pretty cool. 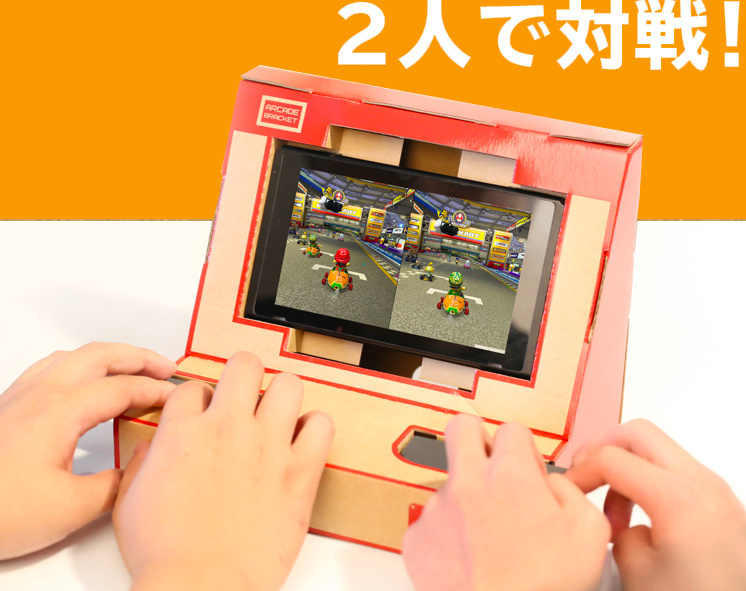 I'd be more likely to buy this than any of the other Labo garbage. I was interested in it as well, but I'm starting to sour on it. Besides supporting the infringement which should be encouraged, there are a couple other issues. At first, I thought you could prop the Switch vertical inside it, but it looks like that vertical notch isn't quite long enough which is a missed opportunity. I also have this feeling that the part of the controller hanging off the edge will be a bit of a lever in some situations and flip up. 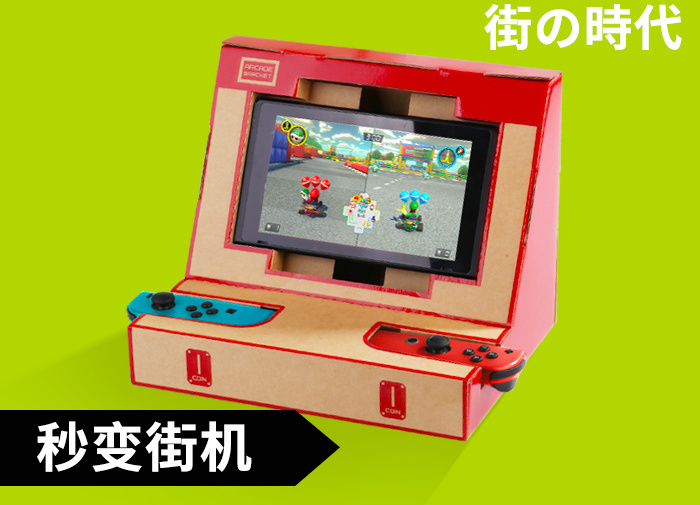 I mean, I do like the idea of mini arcade cabinets, and using the Switch like this is potentially really fun, even with the tiny Joy-con knobs and buttons, and even with them placed inside (though you could, of course pull them out if needed). 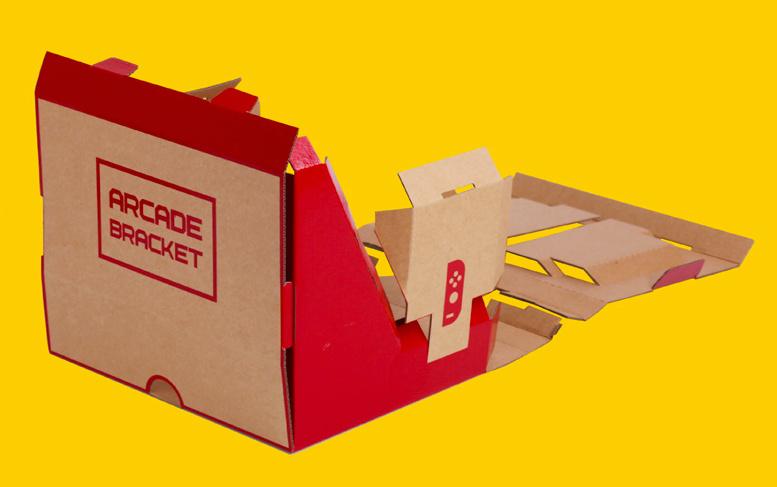 I think I'm going to build something out of cardboard myself and eventually upgrade to something wooden and more involved with possible real arcade parts. Probably there's a scale of different types of builds that could meet everyone's needs and something like this out of pure cardboard — well, I expect YouTube do-it-yourself videos to ape this within the week, so you will probably be able to work from simple plans. Advice: Don't give into the product, give into the project. @JDORS Haven't seen the Labo garbage set yet. Is it shaped like a waste basket and can sense when you throw something in? That would be pretty cool. It could play a crowd cheering every time you toss something into it. Also, I know what you mean, but nothing official Labo comes anywhere close to "garbage" in my mind. It has only gotten more impressive looking since the announcement. 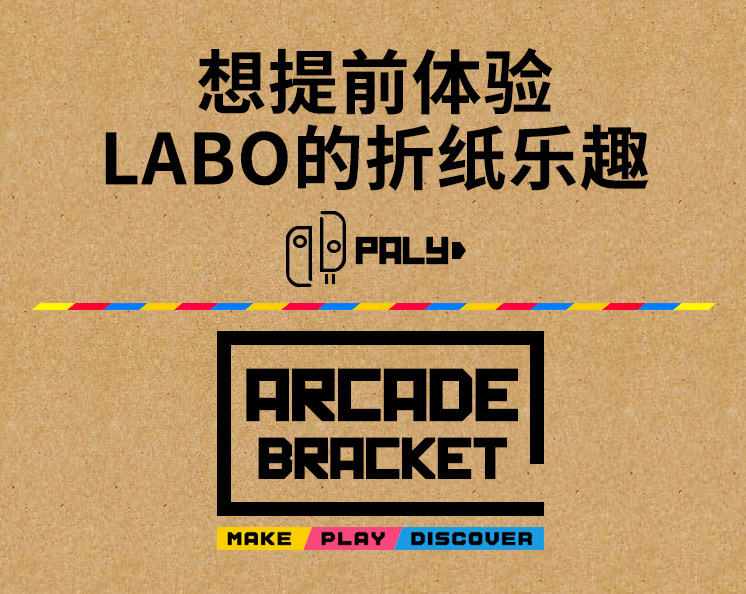 Can you guys paly with Nintendo's Labo? No? Better luck next time Nintendo! @Alex18 You mean 'palce'. It's where you paly a lot of bootlegs. Please explain to me how you would drift with this in Mario Kart. Ya if this is from China, by the time Nintendo would even make any headway with lawsuits the Switch Successor would be out so it’s not even worth it. I can forsee a community of Labo hobbyists coming up in the future, which is exactly what Nintendo wants because it'll boost switch sales and being in fresh ideas. I wouldn't be too worried, it's not available around the globe and/or on big sites like Amazon, so the number of people getting fooled by this will be pretty low. This just means that Nintendo was right to wait until very close to the release with the announcement. They're so brazen about it they've even written "con" on the front of the unit. Twice. Eh this looks fun, if it's cheap enough, and to be fair, did Nintendo sue anyone for making Wii Zapper rip-offs and Wii Plastic Steering Wheels? 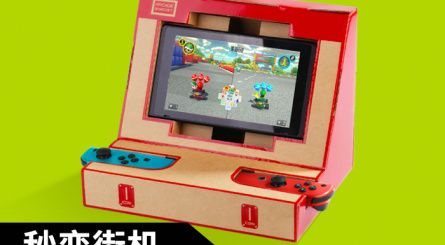 As this is just a cardboard Switch Stand I don't see Nintendo getting legal on them. @aaronsullivan there is a plastic arcade cabinet which retails for around $100AUD. This looks like a great alternative for something novelty. $6 for cardboard.... (I'll link below). Nintendo have my money. I'm okay having a knock off on the odd occasion. Can't be worse than the original. Well if Nintendo isn’t interested in releasing their products in China, this is the only way Chinese gamers can play Nintendo products. Not defending piracy here but it’s like region locking a movie or game but never releasing it in that region. It’s another story if Nintendo actually releases its products in China. Nintendo do release their products here in China, they use the name iQue, but you can buy Nintendo products quite cheap here. What is this, an arcade cabinet for ANTS? @DTFaux nintendo has been indirectly active in China for a while now through the company "iQue". they sold modified nintendo consoles with built-in games(to comply with Chinese anti-console laws), and upgraded handhelds and consoles to support the more complex Chinese "alphabet". this was all with Nintendo's permission and support. China lifted the ban on consoles a few years ago though, and I don't know how that affected the deal with iQue. as for this ... box, I'm actually pleasantly surprised they considered the fact that several games have a portrait mode. very little accessories are built with portrait mode in mind. How do you 'knock-off' cardboard? Missed opportunity, should have named it 'LBAO'. "it really is just a lazy rip-off riding on the wave of hype for Labo itself." Lazy riding on lazy. Sounds like my relationship. Is nobody going to point out that this knock off covers the vent? That can't be good for the system. Also already see this on eBay for $13, so maybe I'll try it out. Looks like it would work well with pinball games. The king of them all? The one who offers patterns for basic mediums (cardboard, plywood, etc,.) and 3-D printers.